The Khmu’ people are made up of clans called “Sunta,” each of which identifies itself with a totemic ancestral being. They are then classified into three groups or lineages, those of which are quadruped, birds and plants. 1. Quadruped Lineages may included clans such as: The Civet cat, Tiger, Buffalo, Pangolin and so on. 2. Bird Lineages may include clans such as: Fork-tail, Horn-bill, Kite, Kingfisher, and so on. 3. Plant Lineages do not have as many clans as the other lineages. One example would be a black fern. 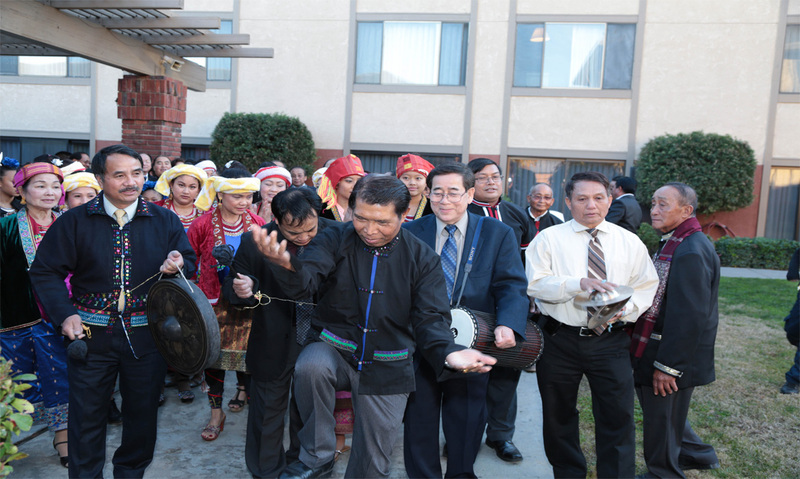 Sunta is used as family names in Khmu’ culture. Marriage within the same clan or Sunta is prohibited. The Khmu’ were animist, and believed in many different spirits, that could affect their lives. The French introduced Christianity to the Khmu’ people in the 1940’s, while fighting the Japanese in Southeast Asia. After World War II, the British and later the American continued the missionary work started by the French. 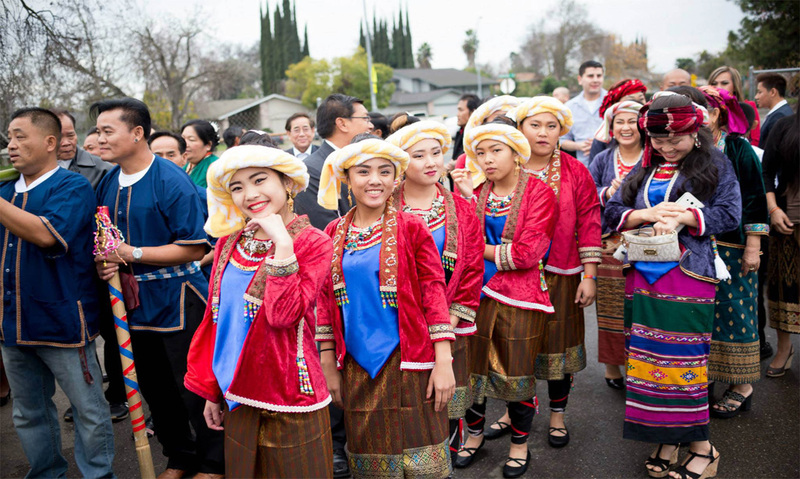 As a result of these influences, the Khmu in the United States are about 50% Catholic, 40% Christian, and 10% other religions. 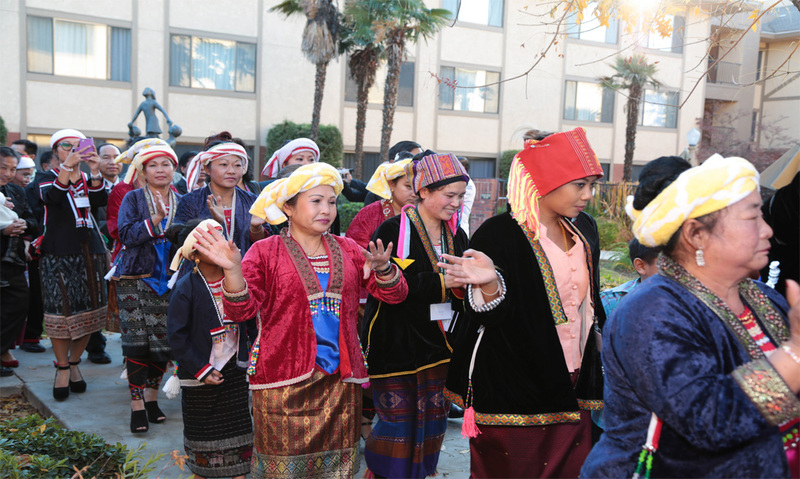 Khmu’ families are usually large, having an average of five children per household. 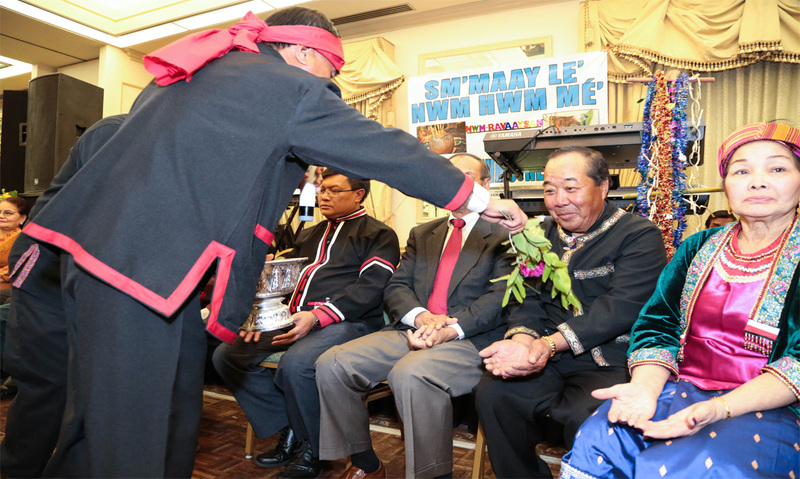 The Khmu’ are taught to be friendly, honest, respectful and peaceful. Problems or feelings of sadness are to be kept inside, not to be shown to the others. 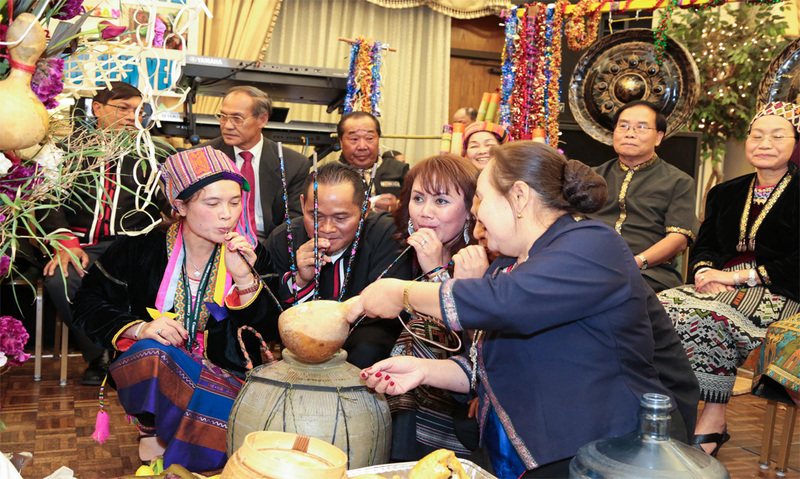 Traditional Khmu’ people believe illness is caused by natural or supernatural phenomena. Treatments for illness include ingestion or application of herbal remedies, abdominal massage, herbal body massage, rituals and incantations. 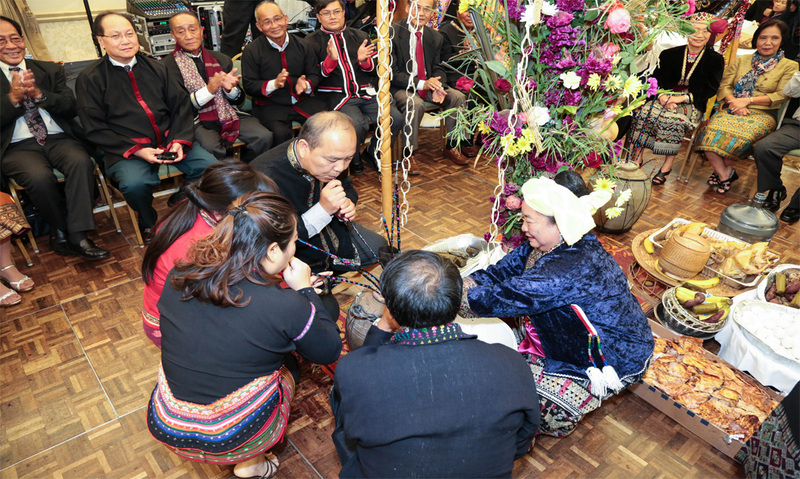 The shaman or spiritual healer performs ceremonies to invoke help from the spirit world in curing the ill.
Khmu’ words are written in the emergent of standard Roman-based Khmu’ orthography, derived from initial efforts of Catholic missionaries in 1950. The alphabet of Khmu’ writing has 28 consonants and 20 vowels. 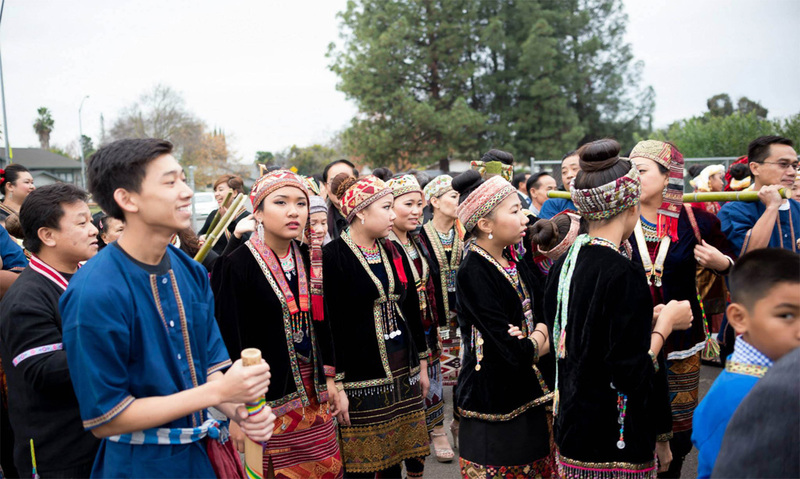 In Laos, the Khmu’ New Year occurs at the end of the harvest season and is a celebration of the bounty that the Khmu’ farmers reap from the soil. During the celebration, all tools for harvest such as shovels, sickles, and knives are displayed along with the abundant produce grown and nurtured from the earth.